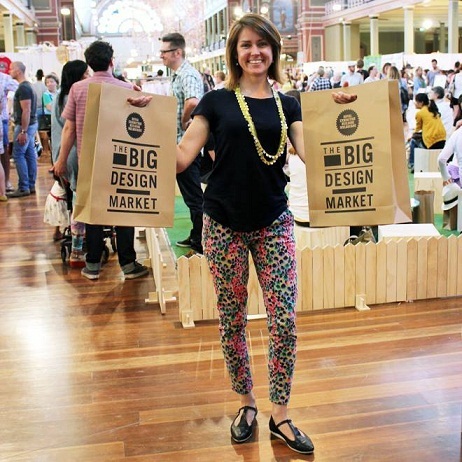 Established in 2012 by visual artist Simon Obarzanek and graphic designer Karen Burne, The Big Design Market runs annually on the first week of December in Melbourne. 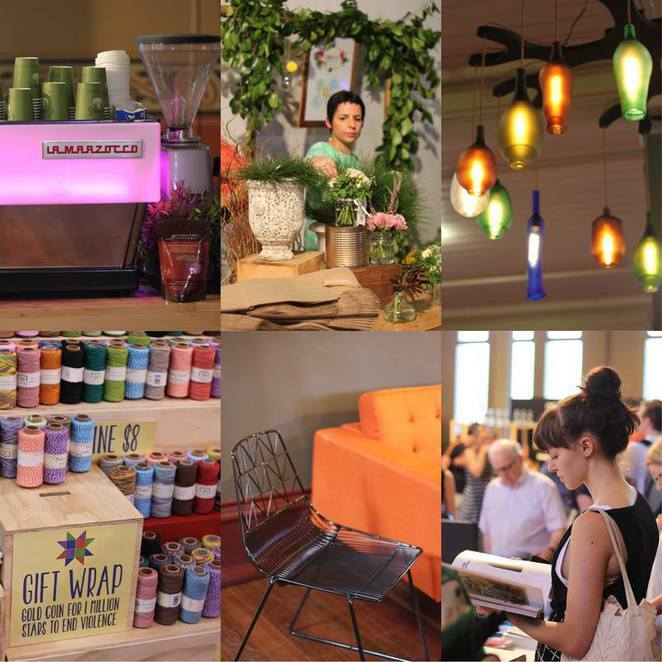 The biggest pop-up department store in Australia showcases original design products that are ethically and sustainably made by independent designers directly to the public, combined with live entertainment and good food. 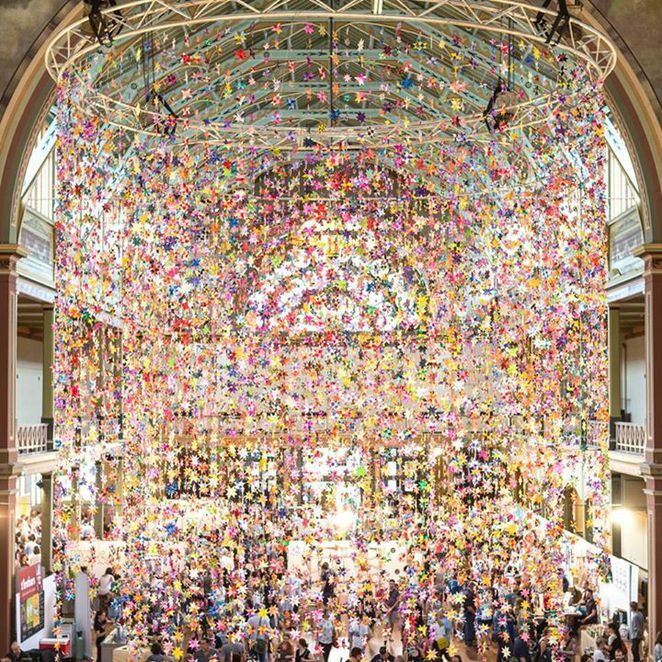 The 3-day event received support from the design community, Habitus Magazine and 33,000 visitors during its debut. 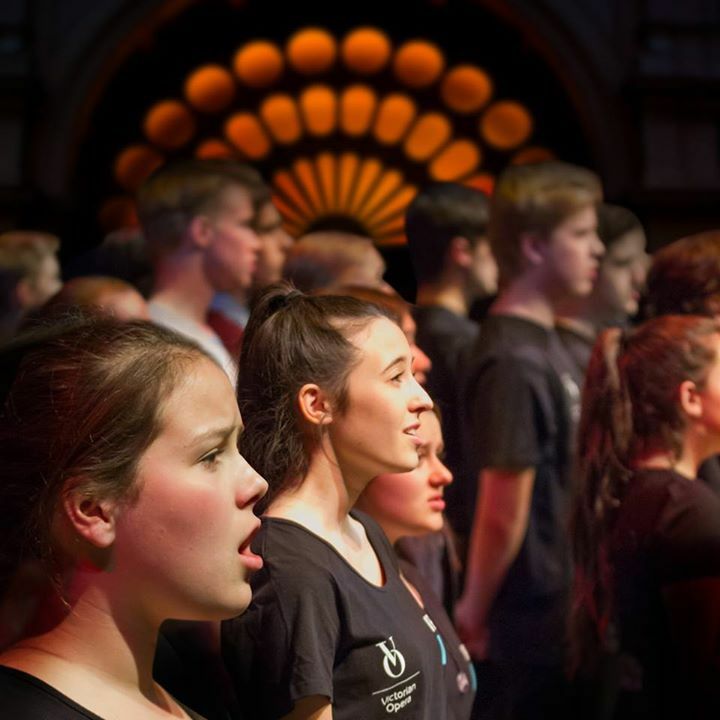 Since then, its taken over the entire 7,000 square metres of the Royal Exhibition Building and received support from the City of Melbourne, Lord Mayor and 56,000 visitors. International designers are also represented at The Big Design Market such as Phil Cuttance 'Faceture' vases (UK) at Designstuff, Droog 'Hare' doormats (Netherlands) at Design For Use, Fine Little Day 'Splash' trays (Sweden) at Hello Polly, Veurich B vintage skateboard sunglasses (Spain) at Upcyclette and 'Martin' backpacks by Mad Rabbit Kicking Tiger (USA). I managed to catch up with Simon to get the inside story of the event and why he feels everyone should visit The Big Design Market between 5 to 7 December this year. Lionel: What was the inspiration behind starting The Big Design Market (TBDM)? Simon: The Melbourne Art Fair. Seeing what an amazing event you could hold in such an incredible building as The Royal Exhibition Building, we thought it would be fantastic to hold one for designers so people could meet them and get to know who they are supporting through their buying choices. Lionel: What's different between TBDM and other alike fairs? Simon: We like to think that we have the best original and ethically produced products from small designers and retailers. We are very lucky that we can curate an amazing line up of designers since we have in excess of 500 applications and the event can only hold a maximum of 225 exhibitors. We like to make it extra fun with great value show bags that we make exclusively ourselves from some of our talented designers. Plus we run free workshops everyday from design royalty such as Beci Orpin, Gemma Patford and Petite Green. Also we go out of our way to create a relaxed shopping environment with wide pram friendly aisles and lots of areas to rest and chomp down on amazing food and beer supplied by talented Melbourne foodies. There is nothing like it as far as I know! Lionel: What's new and exciting in TBDM this year? Simon: For starters, Artist/Weaver Maryann Talia Pau will be creating the second large-scale installation of her 1 Million Stars project, filling the entire 7000 square metres of the Royal Exhibition Building. Google her, she is amazing! Moo Brew from Tasmania is serving up their delicious craft beers and Faire Ferments organic ciders. This year we'll have longer trading hours. Shoppers didn't want to leave us on Saturday last year so we are now open to 7pm and also we have The Victorian Opera Youth Choir Ensemble performing on that night at 6pm. Lionel: What can home decorators look forward to? Simon: TBDM is the ultimate homewares market. Buyers can check out amazing new leather cushions by Arro Home and Elson, bespoke lighting by Volker Haug and Sustainable Stubbies, tableware by The Mod Collective, art platters by Martinich & Carran, hanging shelves from Bride & Wolfe, wallhangings by Gemma Patford, retro planter stands by Mr Kitly, cardboard stools by Fold Theory just for starters. Lionel: Any good buys for fashionistas? Simon: I'll point out just a few. Keep you eyes open for shoes by Preston Zly, Hobes, Duckfeet and &Attorney; clothing by Limedrop, Mono, Tanner and Teague, Naomi Murrell, Apom and The Gently Unfurling Sneak; and jewellery by Abby Seymour, Emily Green, Naomi Murrell, Victoria Mason and Resinate. There are also beautiful shoe laces for guys and girls by Maverick laces. Lionel: What can families and kids enjoy at TBDM? Simon: I think shopping should be a fun and enjoyable experience for the whole family. So we have free workshops for kids and parents and a kids creative play space. For example, kids can build a bridge, a tower or a whole city and watch it tumble down and start again with Green Hat Workshop. They can also colour-in a mystical animal mask from Sunday Morning Designs, design and make a collage portrait into button badge, and make fun creatures using recycled materials with Makedo. We have 3 different cafe areas for relaxing in, including a new tea lounge and a designated baby-feeding lounge. Lionel: What are your personal favourites in TBDM this year? Simon: I really love the Zaishu stools created by Matthew Butler in collaboration with our talented designers Beth-Emily, Bridget Bodenham, Emily Green, Rowena Martinich (Martinich & Carran), Stefan Gevers (Paper Empire) and Paula Mills (Sweet William). It's an exclusive collaboration and exhibition especially for TBDM. 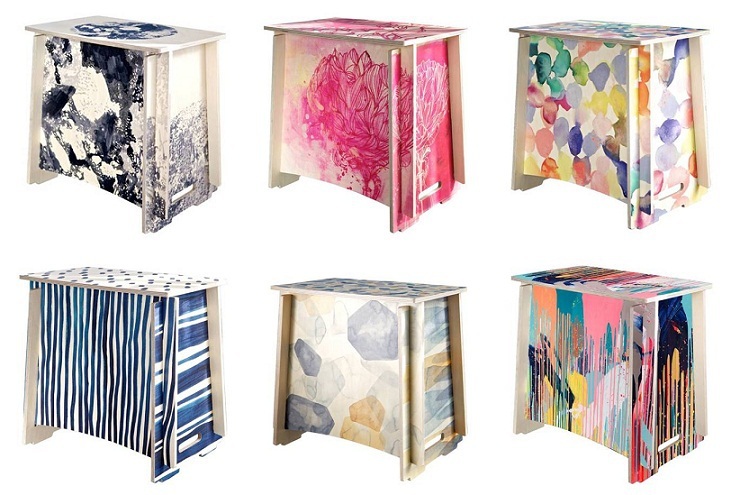 They are very limited-edition collector pieces and only 5 by each designer. And I'm going to be grabbing a couple of donuts from All Day Donuts who are launching a new flavour just for TBDM. Lionel: Any Christmas shopping recommendations? Simon: I think our showbags made exclusively from some of our talented designers are amazing value for Christmas. Deluxe is $190 value for $25 and Junior is $90 value for $15. There are only 500 each year and they go quickly. 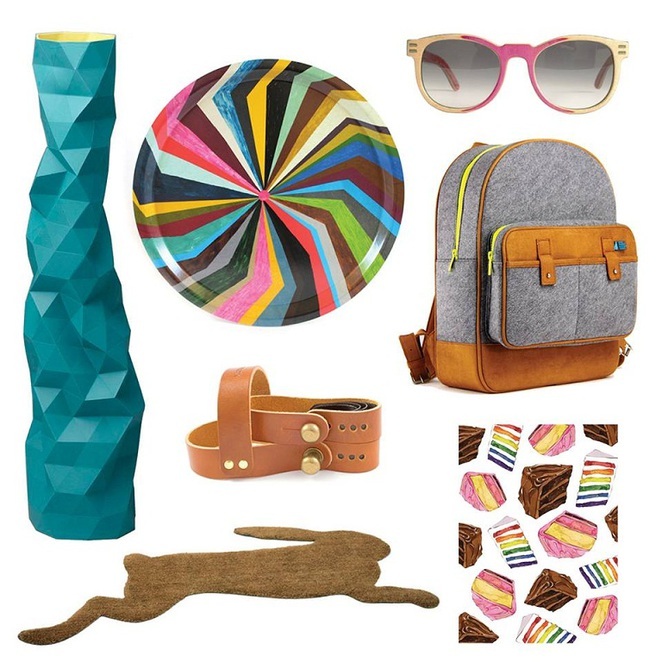 Guys are often hard to buy for but we've got them covered with messenger bags from Mad Rabbit Kicking Tiger, vintage skateboard sunglasses from Upcyclette, WeWood timber watches from Branched and wallets by Bellboy. 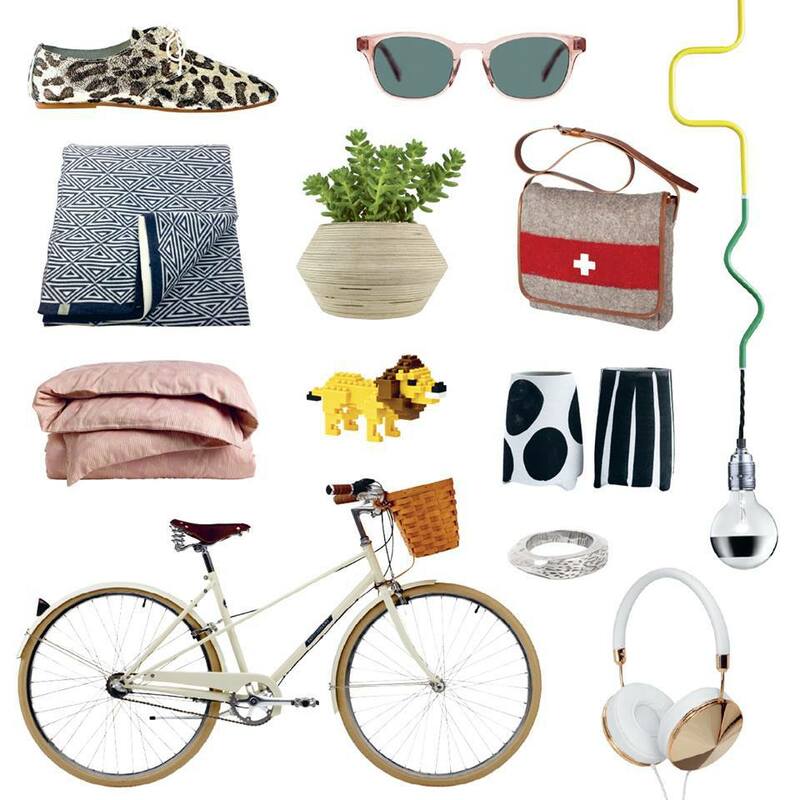 To enjoy the outdoors in summer, there are bicycles by Papillionaire, picnic rugs from Otto & Spike, portable JukeCase music systems from Son Valise and even beer and wine holders for your bike from CycleStyle. You can wrap it all up in artist-designed posterWrap by AHD Paper and finish with cutes cards by Ask Alice and Able & Game. 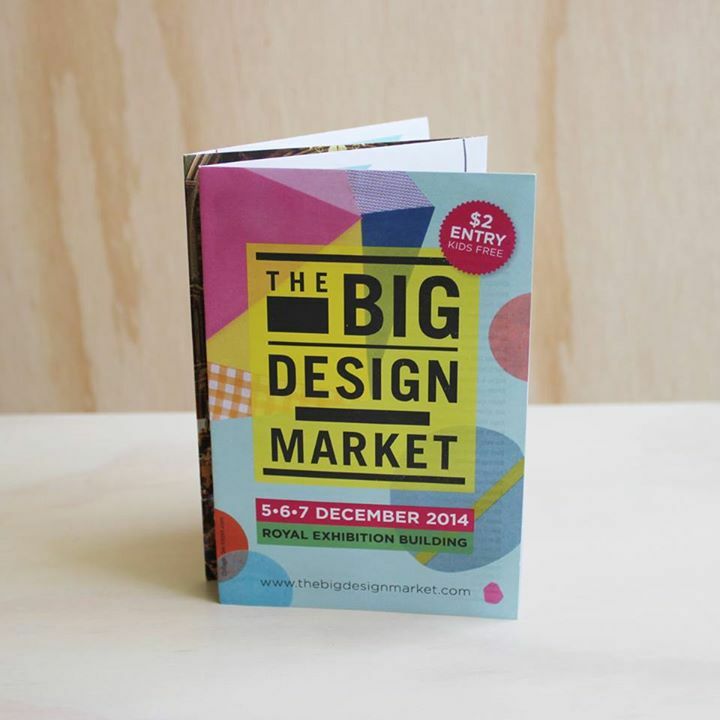 Visitor note: Admission to the The Big Design Market is only $2 for adults and FREE for kids 12 years and below. If all the shopping makes you hungry, check out some of Melbourne's popular food from Earl Canteen, Misschu, Taco Truck, Beatbox Kitchen, Campos Coffee, Love Chai Love Tea, Luxbite and All Day Donuts. Why? Where else can you find the biggest design show in Melbourne?